Sea Marshalls, an SBS squadron on standby and ‘dozens’ of live exercises in northern Scotland all to keep ferry passengers safe at sea. Also, Denmark reduces it swingeing registration tax. New 24-hour help line for Calais truckers. New online appeals for French traffic fines. Exercises on-going to meet the threat of terrorists at sea. Royal Marines from 43 Commando Fleet Protection Group conclude an underway boarding exercise in conjunction with the CALMAC Ardrossan Ferry. Photo Royal Navy. One way or another security on the Channel has been high on the agenda this year. But as Eurotunnel goes a month now without any migrant disturbances – and police reinforcements put a stop to blockades of the N216 Calais port access road – the Paris Attacks highlight the risk of a terrorist incident on a passenger ferry. Armed ‘Sea Marshalls’ are under active consideration according to the Daily Telegraph. Meanwhile, the SBS Special Boat Service, based in Poole, now has an entire squadron of more than sixty men on permanent standby – supported by RAF Chinook helicopters – ready to tackle any incidents at sea says the Daily Mirror. In actual fact, planning for such eventualities has been on-going for some time. 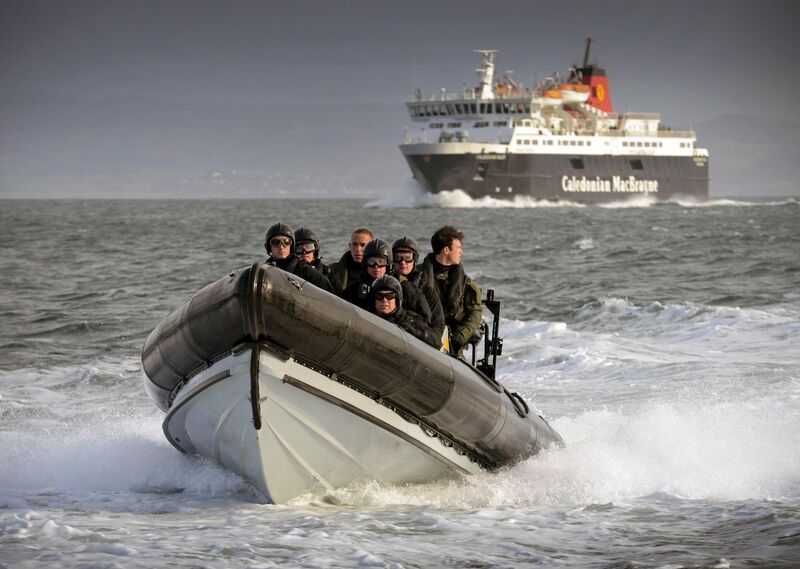 Since May last year commandos have practiced ‘dozens’ of assaults on ferries in northern Scotland. One such exercise took place in March on the MV Caledonian Isles operated by Calmac Ferries, on a scheduled sailing between Ardrossan and the Isle of Arran with regular passengers on board. The 308ft ship which carries 1000 passengers and 110 cars is small by cross-Channel ferry standards but is ideally suited to the exercise thanks to its high freeboard, the distance between the waterline and upper deck level. Thirty Royal Marines from 43 Commando Fleet Protection Group, based at nearby HMNB Clyde, conducted what they call an ‘underway boarding exercise’ using skills originally developed for counter-narcotics and counter-piracy operations around the world. Whatever the real risk of terrorists gaining access to a ferry – and with almost a thousand police stationed in Calais that will be hard enough in itself – the authorities are clearly determined not to be caught unawares. roundup: TRUCKS. The Road Haulage Association (RHA) has launched a 24-hour Calais incident reporting line. Drivers of any nationality suffering intimidation or incursions from migrants should phone (+44) 1274 863111. RHA chief executive Richard Burnett says, ‘The reporting line will provide the evidence and understanding needed to ensure we get the protection that the haulage industry is entitled to expect.’ Port of Dover, P&O and DFDS will be handing out credit card-sized wallet cards printed with the contact details, or see more here. FRANCE. Drivers can now contest traffic penalties through a new government website, with information available in six languages. Contestable grounds include the vehicle having being sold, the driver being someone else, or the penalty being wrongly applied. The site also includes links to methods of payment. The progress of any appeal can also be tracked. 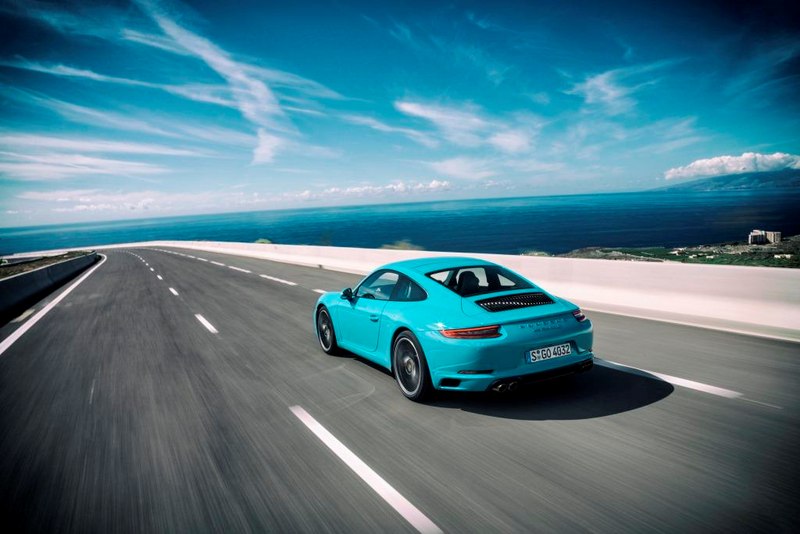 Remote fines do not yet apply to British, Irish or Danish owners of vehicles registered in their home countries though they do apply to drivers of hire cars. See Antai.gouv.fr for more.